Created in 2001, the Honorable Mentor award recognizes one individual who demonstrates long-term support for the advancement of women in the healthcare industry, has a personal dedication to developing, mentoring and promoting women in the industry, and who has been supportive of the HBA’s goals. 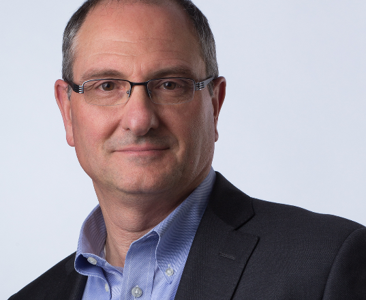 As chairman and CEO of Publicis Health, Nick Colucci has successfully advanced gender parity across his organization. He’s recognized as a supportive mentor for women and is frequently cited as an outspoken advocate for workplace inclusion sharing his expertise with industry audiences and trade and business media. As CEO of Publicis Health, Nick leads the world’s premier healthcare communications network. Under Nick’s tenure, Publicis Health has grown from a fragmented assembly of agencies into a global powerhouse with unrivaled capabilities, expanded global client relationships and an increased footprint in emerging markets, including China and India. Nick’s broad perspective was earned on both the client and agency sides of the business. Prior to joining Publicis Health, Nick served as vice president of marketing and sales at EyeSys Technologies and marketing director at Roche. Nick has been named among PharmaVOICE’s “100 Most Inspiring People” three times and was recognized with the publication’s inaugural Red Jacket Award, which acknowledges leaders who inspire the life sciences industry. Nick was presented with the Leadership Award by the Pheo Para Alliance, a nonprofit organization dedicated to raising awareness of rare adrenal neuroendocrine tumors—only the second time the award was ever presented. He was named a “Superhero of Heart and Stroke” in 2013 by the American Heart Association of New York for his commitment to fight heart disease and support research, and also was honored as “Marketer of the Year” at the PM360 Trailblazer Awards in 2012. In 2016, Nick was named among MM&M’s Healthcare Influencers 50. Nick is an outspoken advocate for inclusion and gender parity as well as a well-known leader in healthcare circles, leading key initiatives for the Coalition for Healthcare Communication, an industry trade association, as well as serving on the American Heart Association of New York board. He is a member of the P12 executive management board of Publicis Groupe. Nick will be honored at the 29th Woman of the Year event at the New York Hilton Midtown on Thursday, 3 May where nearly 2,500 leaders from across the industry will attend. The event will also recognize the HBA Woman of the Year, STAR and nearly 100 Rising Stars and Luminaries from across the spectrum of our industry.